THEIR VOCALS AND RAPID INSTRUMENTALS are reminiscent of traditional rock and yet there's something creeping in here that is being given a new slant  that's Wired Desire, shakin' the brickwork with their debut EP, Barely Illegal. Line-up is 22-year-old Kieran Daly (vocals); Jam, also 22 (lead guitar); 20-year-old Eddy (rhythm guitar); 21-year-old Danny (bass) and 22-year-old Jeeves (drums)  sounding like a seasoned rock band and looking the business. Early days, but Wired Desire has impressively already shared the stage with Wishbone Ash, Eric Bell and Bad Company. And fresh from their full UK tour with rock gods Nazareth, the band is fast building a reputation as the pioneers for a new generation of rock music. Wired Desire's mesmerising live show rips through the UK music scene collecting fans as it goes. The boys cite influences that include The Rolling Stones, Aerosmith, ZZ Top and AC/DC  and it shows. These five young rock stars have achieved in two short years what many bands don't achieve in a lifetime. Damn Hard will certainly have you out of your seat  all four tracks are great stuff and likely to get you moving, but that was our favourite. "Packed with raucous riffs, heavy licks and," says the publicity machine of the EP, "a bass on it with more revs than a Formula One racecar." 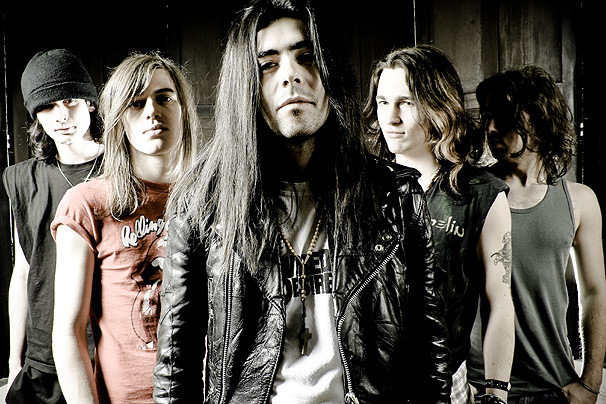 Barely Illegal has already shifted over 700 units from sales at Wired Desire's last thirteen gigs alone  although the official release date is 6 October (2008). There's also the quite remarkable 400,000 MySpace views  including an average of 400 plays a day. You cannot deny that these Scottish rocksters are certainly wired and most definitely desired. "Tune in and turn up the volume," advises the publicity machine, warning that you will need to "strap yourselves in as Wired Desire take you on a trip of no-nonsense, high-velocity Rock 'n' Roll!" "Rock 'n' Roll is back with a vengeance and Wired Desire are leading the way." Which way did they go? Follow that band  it's Wired Desire creating sounds that reek of the true spirit of Rock-and-Roll. 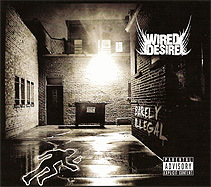  Wired Desire's debut EP Barely Illegal will be released on 6 October, 2008. Check out myspace.com/wireddesireband and wireddesire.co.uk.